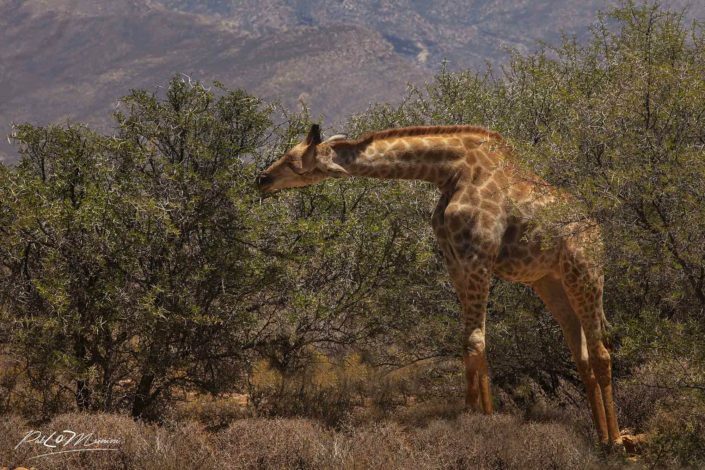 Wildlife Photographic Safari in the natural reserves of Pilanesberg and Inverdoorn. Searching the Big five with an unexpected guide. I picked up the phone at 5.30 a.m., expecting to hear my automated wake up call. Instead, the receptionist’s voice was telling me that someone had come to get me. When I went down to the lobby, I found there a young South African man with a resplendent smile, who introduced himself as Elvis. I, in a cranky mood, noted to Elvis that he had arrived 45 minutes before the scheduled time. In the car Elvis explained to me that he was going to be my guide, and that he would be showing me the Pilanesberg National Park for the day. Upon hearing this I asked him if we were going to be picking up more people to go with us, and if we would be changing to an open-air jeep so we could experience the safari better. Elvis answered that no, it would be just us two, and that we would not be changing cars. Based on his answers, I silently concluded that the day was going to be a disappointment. 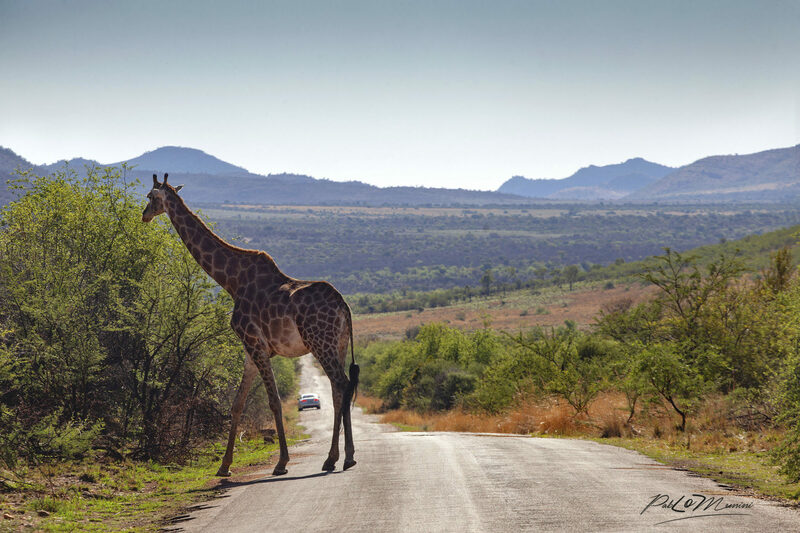 However, from the moment we entered Pilanesberg, my attitude changed. Right away, what seemed an infinite amount of zebras appeared before us, then impalas, kudu and klipspringer antelopes, warthogs, and giraffes. Elvis delighted in explaining to me the names, characteristics, and habits of each animal, and every time he managed to get the car in perfect position for a great photo. Elvis’ eyes proved to be even sharper than my telephoto lens; while I could distinguish little in the uniformness of the scene, Elvis identified at a distance each one of the animals that rested under the trees or moved in the background. Then he would say to me: “We should stay here, because in 10 minutes they will come closer and you will be able to take pictures.” And each time they did just what Elvis said they would, coming close to us at just the right time to get a great shot. We explored all the possible spaces of that vast savannah. Elvis moved us around in an expert fashion, and at noon took us to yet another perfect spot. 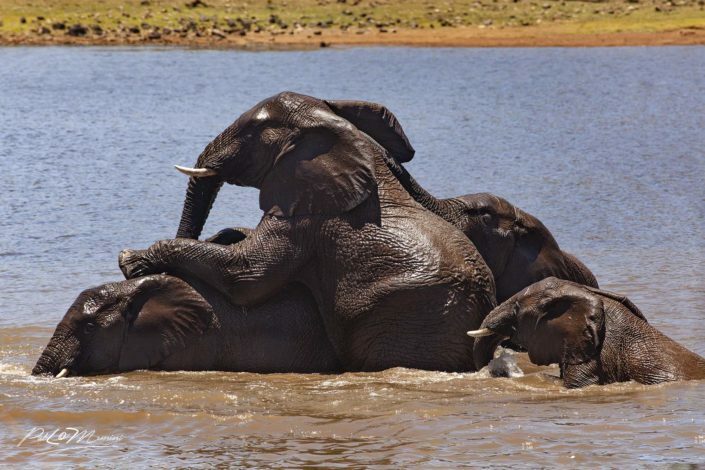 There, in a lagoon, gigantic elephants were taking a bath, playing and hugging like little children. We were the sole witnesses to this sublime spectacle and remained there in silence, the car hidden in a solitary grove. The elephants splashed in the waters of the lagoon making enough sound so that the sound of the camera did not bother them and break the magic spell of the scene. Throughout the rest of the afternoon Elvis tried hard to find all the “Big Five” — the five most dangerous big game animals in Africa — but it was not really necessary. I am not a hunter, but rather a seeker of beauty. I search for awesome moments of beauty, the ones that are so fleeting, and then gone. And while I try to capture them in my photos, they can never be repeated in my life. It was night when Elvis, with the same broad smile with which he had welcomed me in the morning, left me at the hotel in Sandton. Thinking back on the day, I understood completely why he had come to pick me up 45 minutes early. The images of this gallery were made in the Pilanesberg Wildlife Reserve, in the North West Province of South Africa and in the Inverdoorn Reserve at Ceres Karoon, in the Western Cape, South Africa. 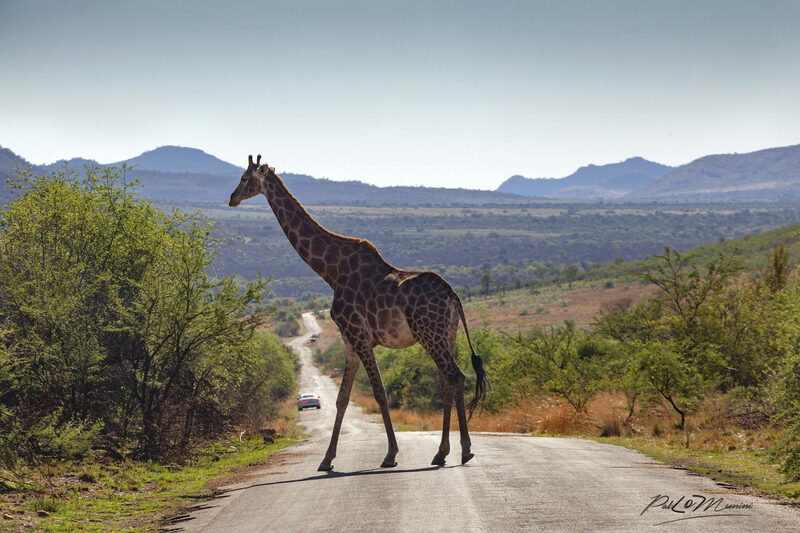 The park of Pilanesberg has a rich array of southern African wildlife including the Big Five, the five most dangerous game animals in Africa. Most of the animal species of southern Africa currently live in the Pilanesburg Game Reserve, including lions, elephants, black rhinos, white rhinos, Cape buffaloes, leopards, cheetahs, Hartmann’s mountain zebras, giraffes, hippos and crocodiles. The Inverdoorn Reserve is a private area located a few hours from Cape Town. It is really more like a 13,000-hectare zoo, where animals are kept in a semi-domesticated state, and where they are relatively docile and accustomed to the presence of people. 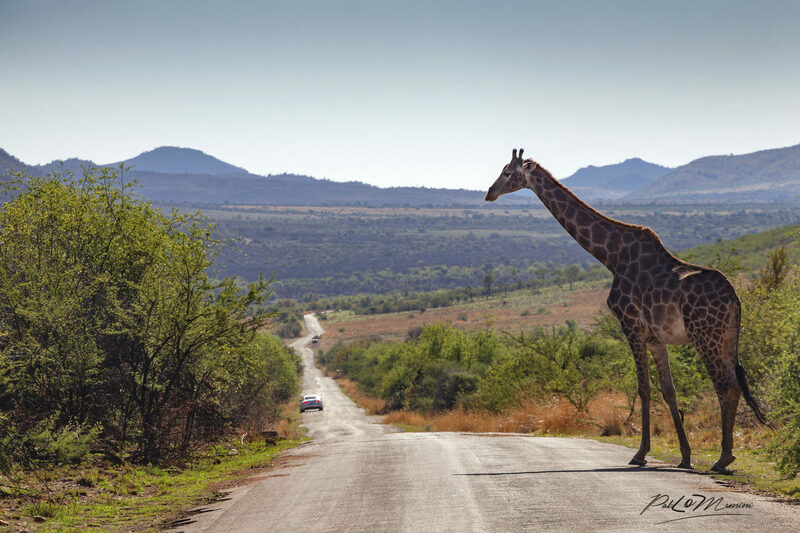 A “game drive” is usually part of a safari. 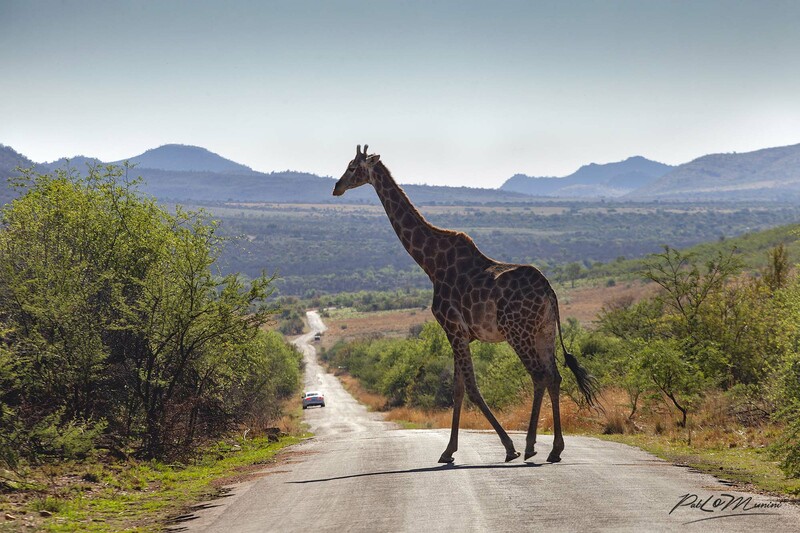 It can be experienced in one’s own car, as in national parks or game reserves, or it can be done as part of a guided tour in off-road vehicles lead by a professional safari guide. 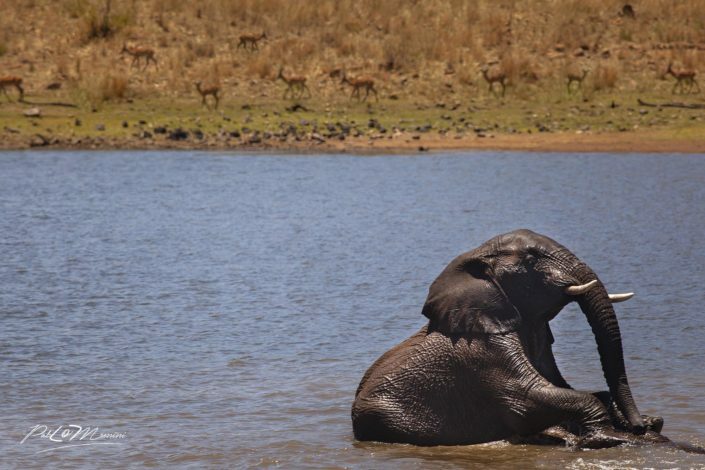 Elephants are herbivorous and can be found in different habitats including savannahs, forests, deserts, and marshes. They prefer to stay near water. They are considered to be a keystone species due to their impact on their environments. 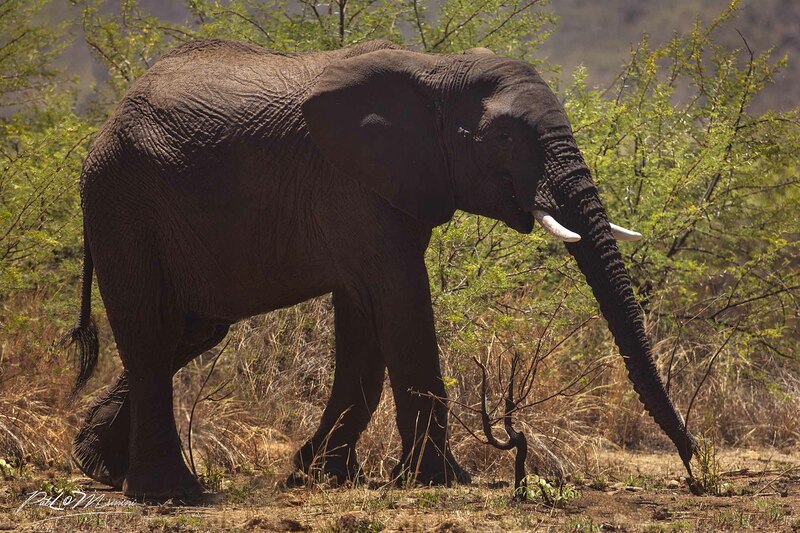 Other animals tend to keep their distance from elephants and predators target only young elephants (or “calves”). 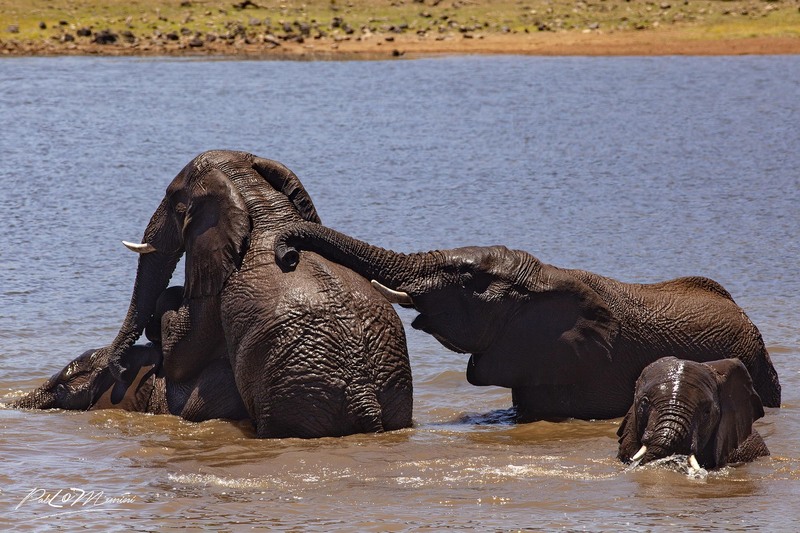 Elephants have a fission–fusion society in which multiple family groups come together to socialize. Females (“cows”) tend to live in family groups, which can consist of one female with her calves or several related females with offspring. The groups are led by an individual known as the matriarch, often the oldest cow. Males (“bulls”) leave their family groups when they reach puberty and may live alone or with other males. 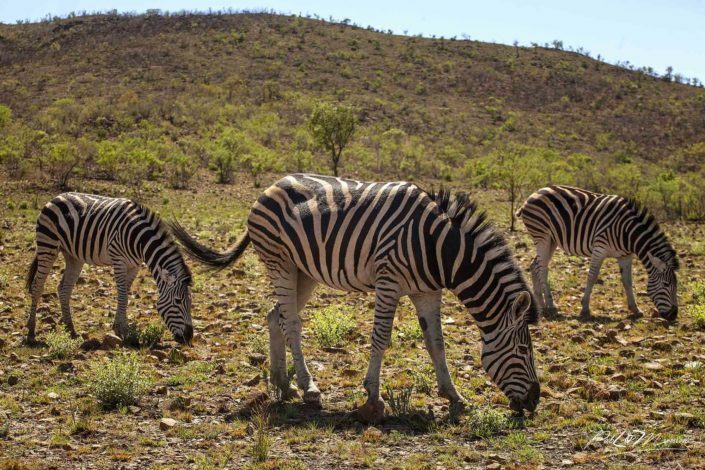 Zebra , There are several species of African equids (horse family) united by their distinctive black-and-white striped coats. Their stripes come in different patterns, unique to each individual. They are generally social animals that live in small harems to large herds. Zebras have excellent eyesight. 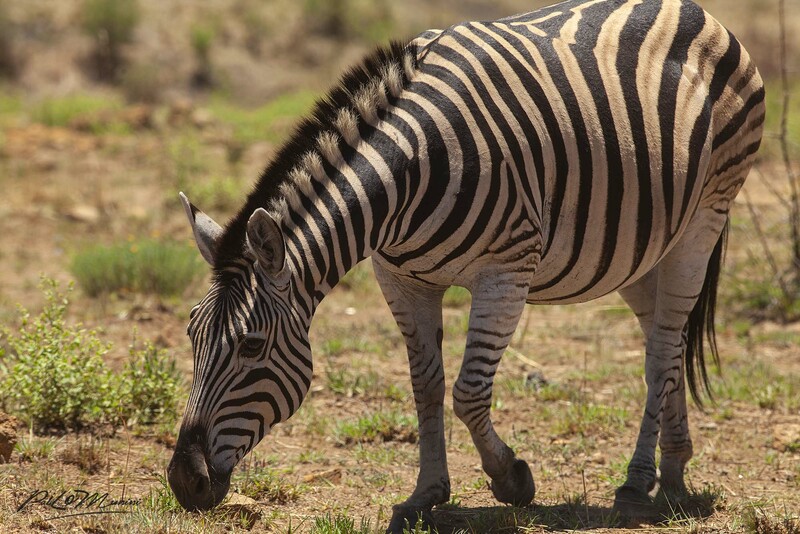 Like most ungulates, the zebra’s eyes are on the sides of its head, giving it a wide field of vision. Zebras also have night vision, although not as advanced as that of most of their predators. Zebras have excellent hearing and have larger, rounder ears than horses; like other ungulates, zebras can turn their ears in almost any direction. In addition to superb eyesight and hearing, zebras also have acute senses of smell and taste. Springbok has been a national symbol of South Africa since the white minority rule in the 20th century. It was adopted as a nickname or mascot by several South African sports teams, most famously by the national rugby union team. The springbok is the national animal of South Africa. Even after the decline of apartheid, Nelson Mandela intervened to keep the name of the animal for the conciliation of rugby fans, the majority of whom were whites. The springbok is a slender antelope with long legs and neck. A feature unique to the springbok is pronking, in which the springbok performs multiple leaps into the air, up to 2 m (6.6 ft) above the ground, in a stiff-legged posture, with the back bowed and its white rump flap lifted. 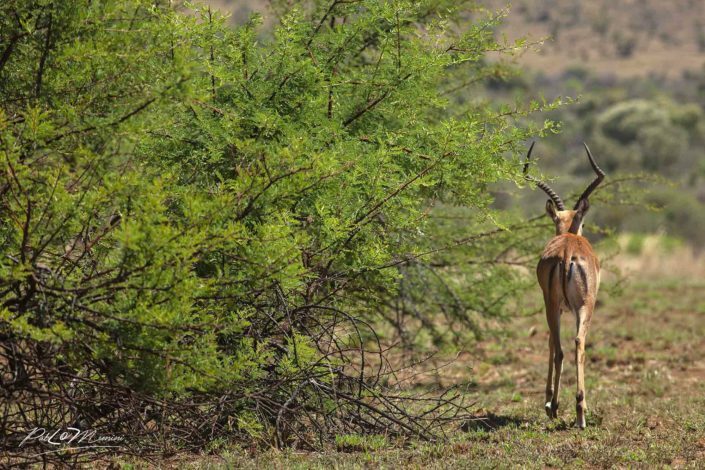 Primarily a forager, the springbok feeds on shrubs and succulents; this antelope can live without drinking water for years, meeting its requirements through eating succulent vegetation. Cheetah is a large cat of the subfamily Felinae that occurs in North, Southern and East Africa, and a few localities in Iran. It inhabits a variety of mostly arid habitats like dry forests, scrub forests, and savannahs. 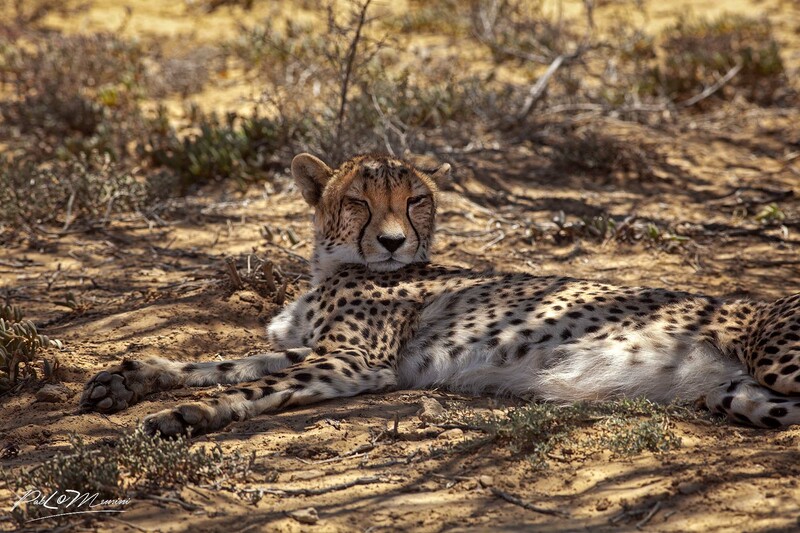 The cheetah is active mainly during the day, with hunting its major activity. Adult males are sociable despite their territoriality, forming groups called coalitions. Females are not territorial; they may be solitary or live with their offspring in home ranges. It is a carnivore, and preys mainly upon antelopes and gazelles. It stalks its prey to within 100–300 m (330–980 ft), charges towards it, and kills it by tripping it during the chase and biting its throat to suffocate it to death. 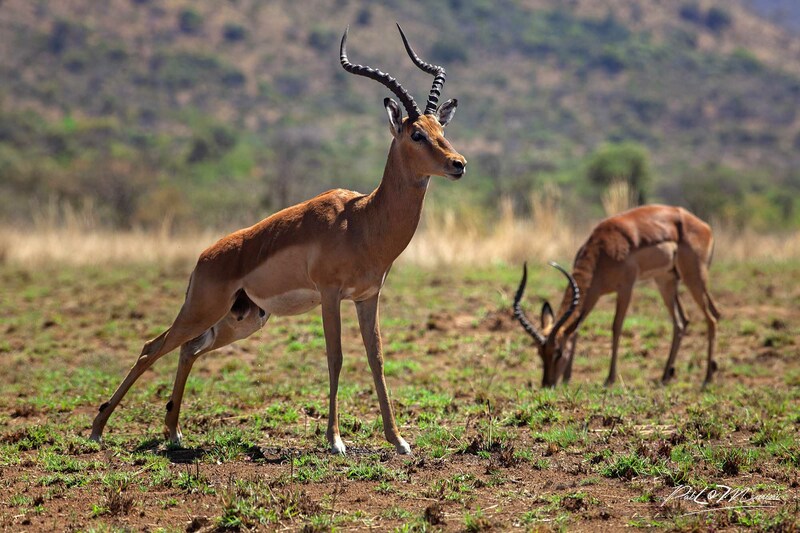 Impala is a medium-sized antelope found in eastern and southern Africa. Active mainly during the day, the impala may be gregarious or territorial depending upon the climate and geography. 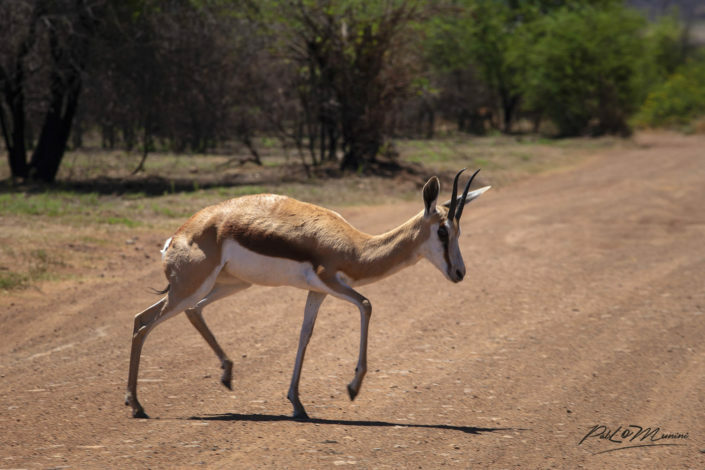 The impala is known for two characteristic leaps that constitute an anti-predator strategy. 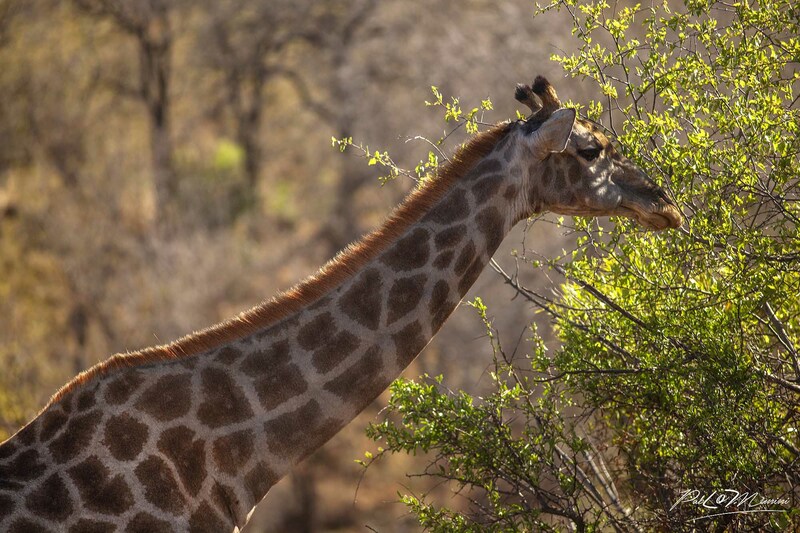 Foragers as well as grazers, impala feed on monocots, dicots, forbs, fruits and acacia pods. 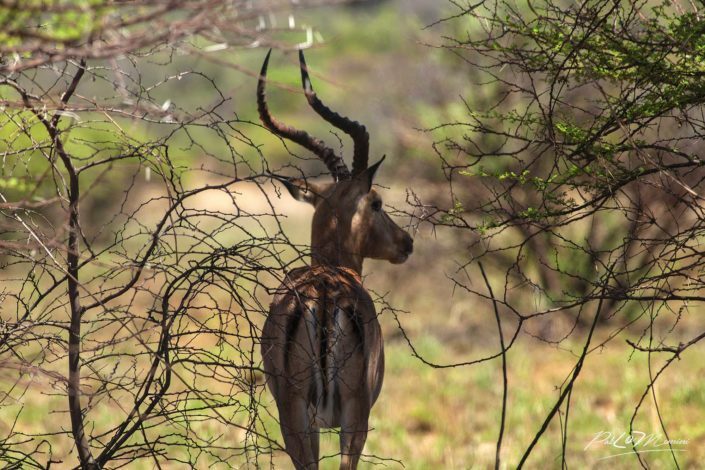 The impala is found in woodlands and sometimes in the transition zones (ecotone) between woodlands and savannahs; it inhabits places close to water. 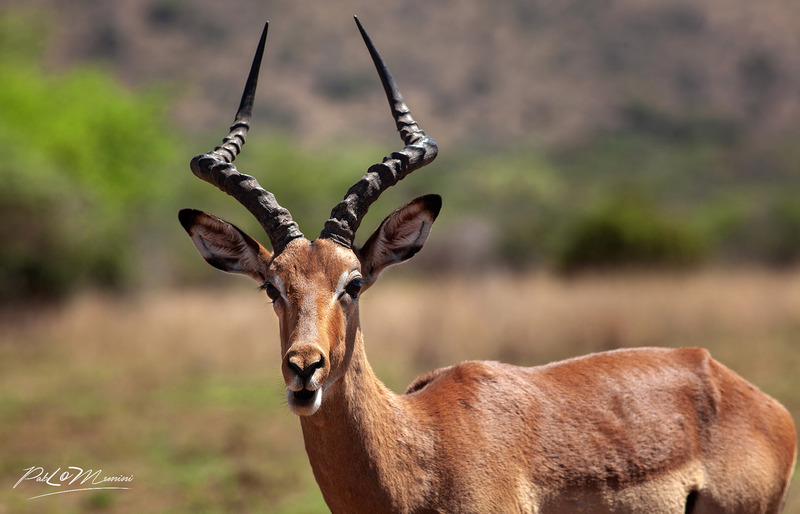 Impalas are fantastic jumpers. They can leap as far as 33 feet (10 meters) and as high as 10 feet (3 meters). 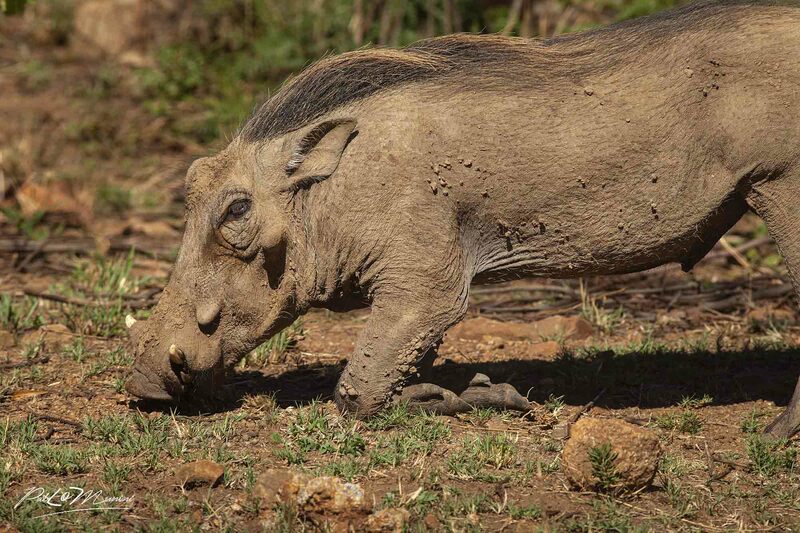 Warthogs are members of the same family as domestic pigs, but present a much different appearance. These sturdy hogs are not among the world’s most aesthetically pleasing animals— their large, flat heads are covered with “warts,” which are actually protective bumps. Warthog is the animal that inspired Pumbaa’s character in Disney’s 1994 animated film The Lion King. Though warthogs appear ferocious, they are basically grazers. They eat grasses and plants, and also use their snouts to dig or “root” for roots or bulbs. When startled or threatened, warthogs can be surprisingly fast, running at speeds of up to 30 miles an hour. Warthogs are adaptable and are able to go long periods without water, as much as several months in the dry season. Baboons are primates comprising the genus Papio, one of the 23 genuses of Old World monkeys. Baboons have existed for at least two million years. They have diurnality and are terrestrial, but some sleep in trees at night. They are found in open savannahs and woodlands across Africa. They are omnivorous: common sources of food are insects, fish, shellfish, hares, birds, vervet monkeys, and small antelopes. Their principal predators are Nile crocodiles, large cats, and hyenas. Most baboons live in hierarchical troops containing harems. 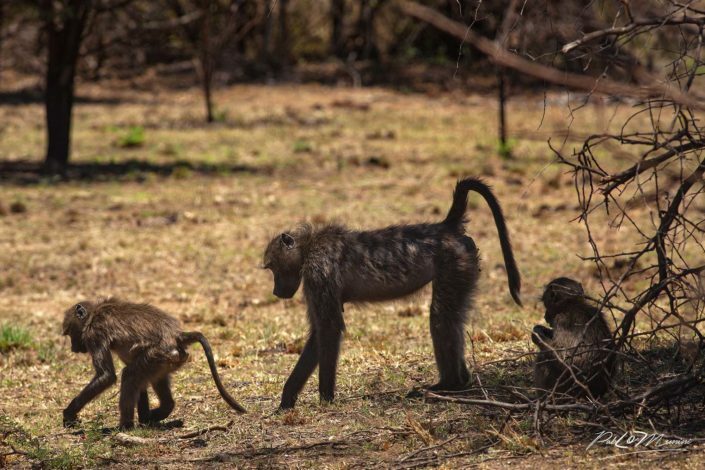 Baboons can determine from vocal exchanges what the dominance relations are between individuals. Baboons are able to acquire orthographic processing skills, which form part of the ability to read. 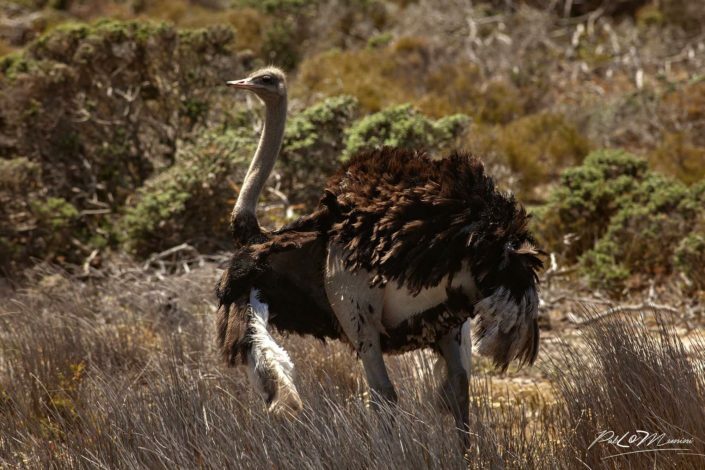 Common ostrich (Struthio camelus) (Struthio camelus), or simply ostrich, is a species of large flightless bird native to Africa. The largest living bird, an adult male may be 2.75 meters —almost half of its height is neck—and weigh more than 150 kg. The ostrich’s egg, averaging about 150 mm in length by 125 mm in diameter and about 1.35 kg is also the world’s largest. 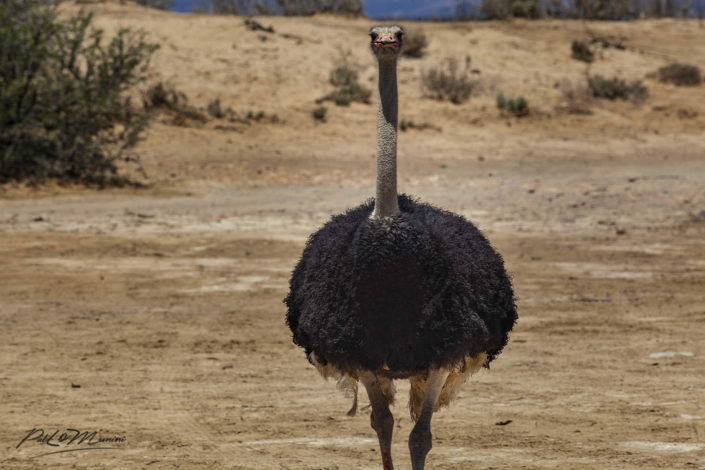 The ostrich’s diet consists mainly of plant matter, though it also eats invertebrates. It lives in nomadic groups of 5 to 50 birds. It is farmed around the world, particularly for its feathers, which are decorative and are also used as feather dusters. Its skin is used for leather products and its meat is marketed commercially, with its leanness a common marketing point. 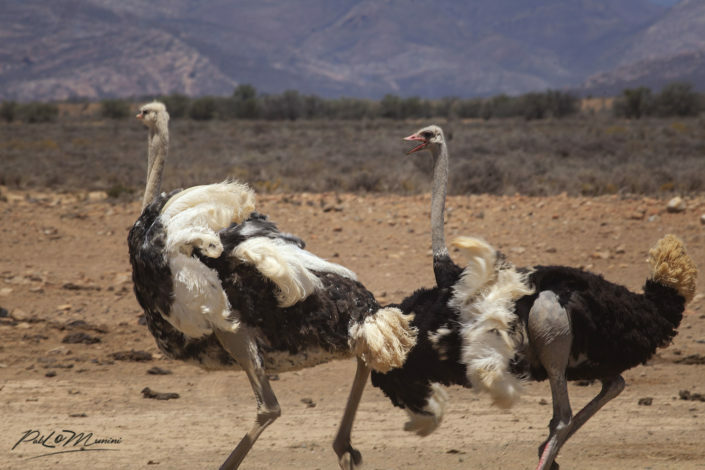 Common ostriches can often outrun most of their predators in a pursuit, so most predators will try to ambush an unsuspecting bird using obstructing vegetation or other objects. A frightened ostrich can achieve a speed of 72.5 km per hour. If cornered, it can deliver dangerous kicks. Predators of nests and young common ostriches include jackals, various birds of prey, warthogs, mongoose and Egyptian vultures. If the nest or young are threatened, either or both of the parents may create a distraction, feigning injury. 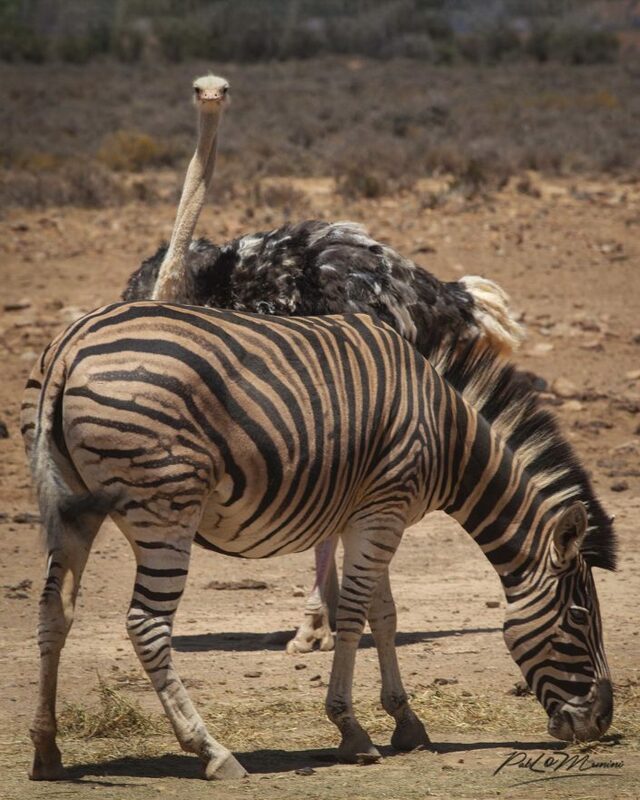 However, they may sometimes fiercely fight predators, especially when chicks are being defended, and have been capable of killing even lions in such confrontations. Wildebeests, also called gnus, are antelopes in the genus Connochaetes. They belong to the family Bovidae, which includes antelopes, cattle, goats, sheep, and other even-toed horned ungulates. Wildebeest and Zebras group together in open savannah environments with high chances of predation. This grouping strategy reduces predation risk because larger groups decrease each individual’s chance of being hunted, and predators are more easily seen in open areas. The seasonal presence of thousands of migratory wildebeests reduces local lion predation on giraffe calves, resulting in greater survival of giraffes. They are also alert to the warning signals emitted by other animals such as baboons. Wildebeest provide several useful animal products. The hide makes good-quality leather and the flesh is coarse, dry and rather hard. 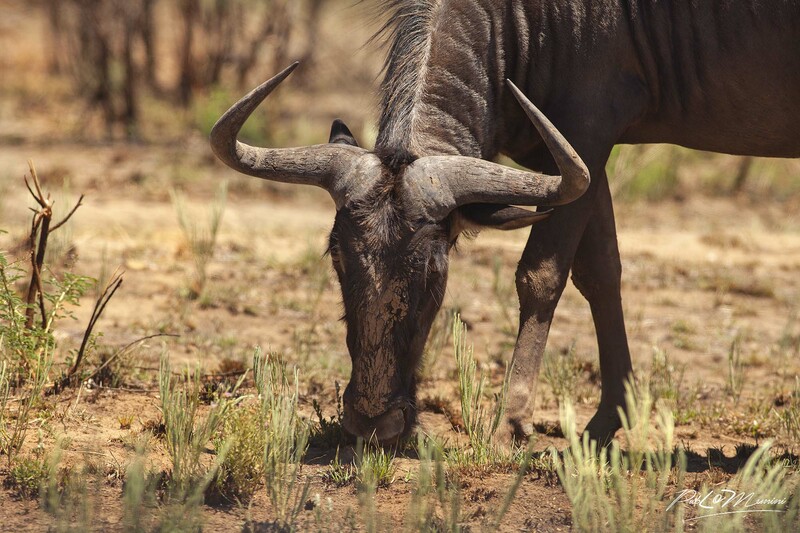 Wildebeest are killed for food, especially to make biltong in Southern Africa. This dried game meat is a delicacy and an important food item in Africa. The black wildebeest is depicted on the coat of arms of the Province of Natal in South Africa. Over the years, the South African authorities have issued several stamps displaying the animal and the South African Mint has struck a two cent piece with a prancing black wildebeest. 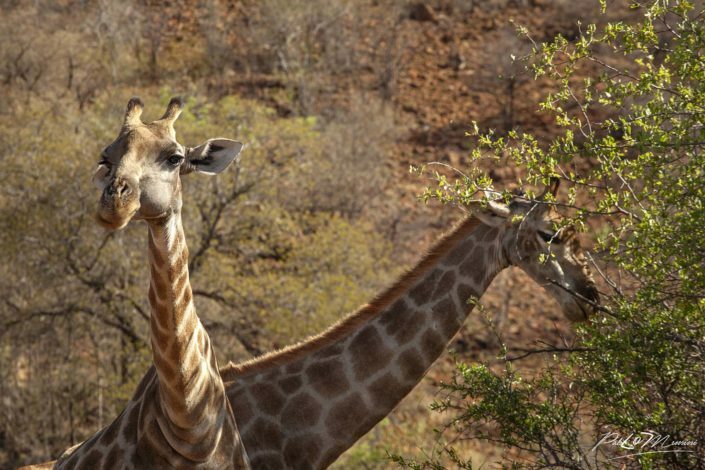 Giraffes are the tallest of all land animals; males (bulls) may exceed 5.5 meters in height, and the tallest females (cows) are about 4.5 meters. Using prehensile tongues almost half a meter long, they are able to browse foliage almost six meters from the ground. 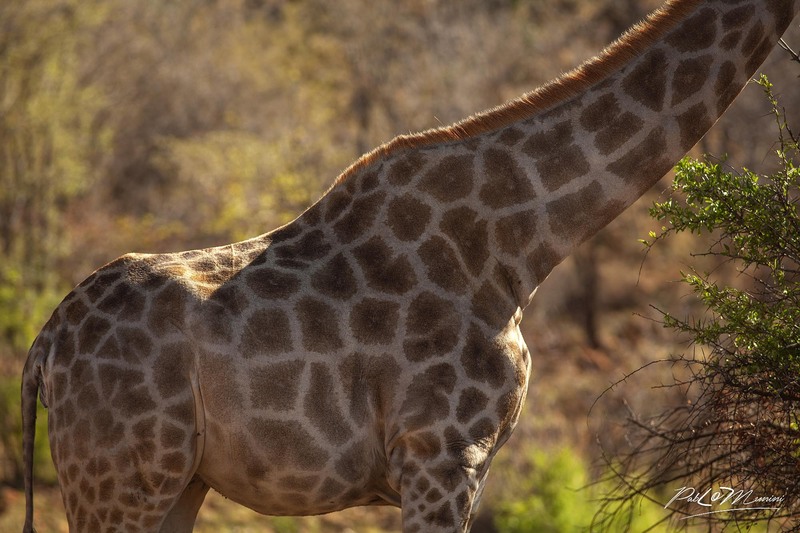 The genus Giraffa is made up of the northern giraffe (G. camelopardalis), the southern giraffe (G. giraffa), the Masai giraffe (G. tippelskirchi), and the reticulated giraffe (G. reticulata). Paintings of giraffes appear on early Egyptian tombs when just as today, their tails were prized for the long wiry tuft hairs used to weave belts and jewelry. In the 13th century, East Africa supplied a trade in hides. 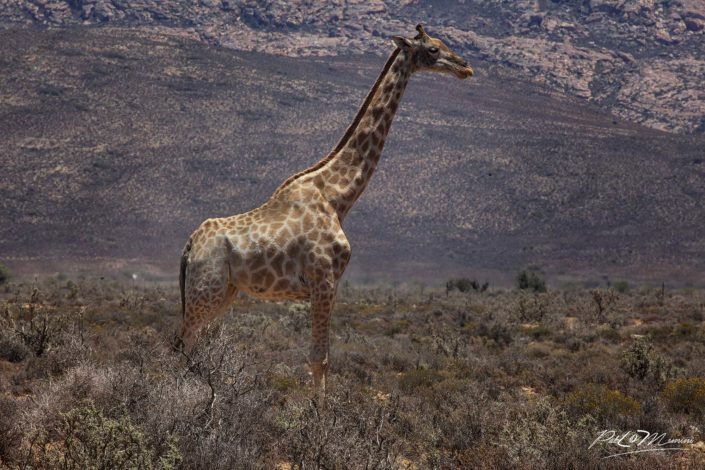 During the 19th and 20th centuries, overhunting, habitat destruction, and rinderpest epidemics introduced by European livestock reduced giraffes to less than half their former range. Today giraffes are numerous in East African countries and also in certain reserves of Southern Africa, where they have enjoyed somewhat of a recovery. The animals are gregarious, a behavior that apparently allows for increased vigilance against predators. They have excellent eyesight, and when one giraffe stares, for example, at a lion a kilometer away, the others look in that direction too. Giraffes live up to 26 years in the wild and slightly longer in captivity. 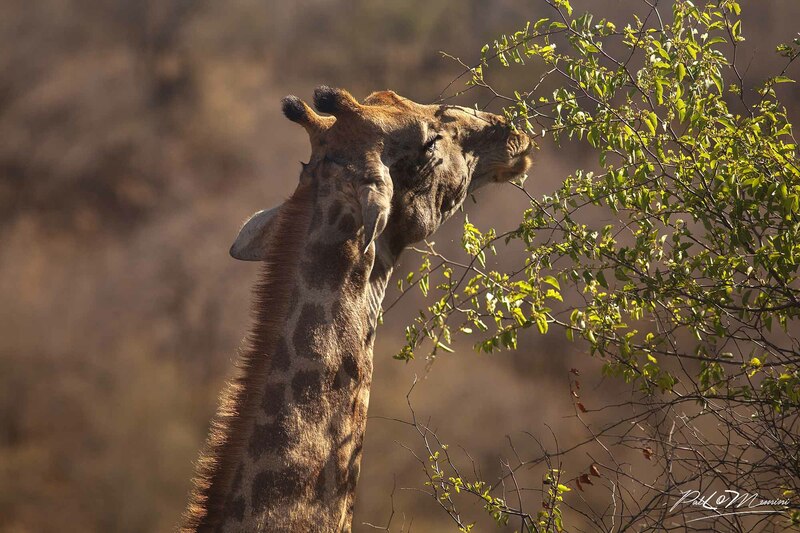 Giraffes prefer to eat new shoots and leaves, mainly from the thorny acacia tree. Cows in particular select high-energy low-fiber items. They are prodigious eaters, and a large male consumes about 65 kg (145 pounds) of food per day. The tongue and inside of the mouth are coated with tough tissue as protection. Lion (Panthera leo) is one of the most widely recognized animal symbols in human culture ; It appeared as a symbol for strength and nobility in cultures across Europe, Asia and Africa. Typically, the lion inhabits grasslands and savannas but is absent in dense forests. It is usually more diurnal than other big cats, but when persecuted it adapts to being active at night and at twilight. In the Pleistocene , the lion ranged throughout Eurasia, Africa and North America but today it has been reduced to fragmented populations in Sub-Saharan Africa and one critically endangered population in western India. 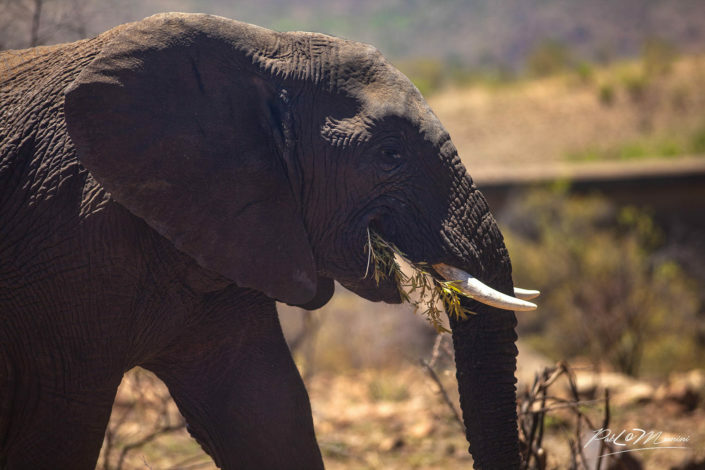 It has been listed as Vulnerable on the IUCN Red List since 1996 because populations in African countries have declined by about 43% since the early 1990s. Lions spend much of their time resting; they are inactive for about 20 hours per day. 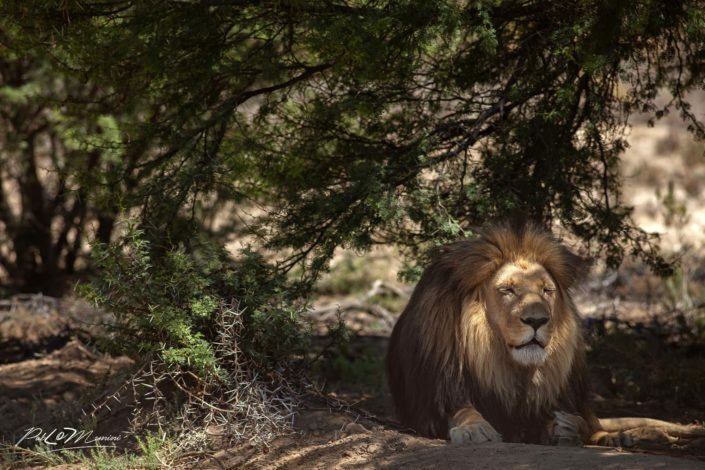 Although lions can be active at any time, their activity generally peaks after dusk and continues until dawn, when hunting most often takes place. They spend an average of two hours a day walking and 50 minutes eating. 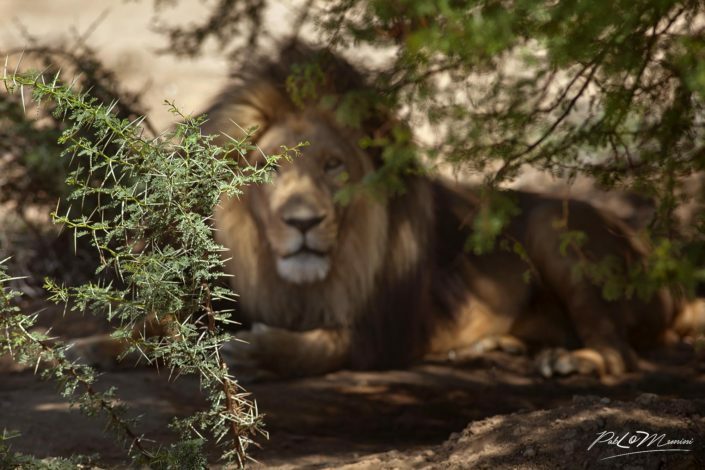 Lions prey on a large variety of animals ranging in size from rodents and baboons to Cape buffalo and hippopotamuses , but they predominantly hunt medium- to large-sized hoofed animals such as wildebeests, zebras and antelopes. Prey preferences vary geographically as well as between neighboring prides. Lions are known to take down elephants and giraffes, but only if the individual is young or especially sick. The lion’s attack is short and powerful; they attempt to catch prey with a fast rush and final leap, and usually kill prey by strangulation, Lions and spotted hyenas occupy a similar ecological niche and where they coexist they compete for prey and carrion. Though a group of hunting lions is potentially nature’s most formidable predatory force on land, a high proportion of their hunts fail. The cats pay no attention to the wind’s direction (which can carry their scent to their prey), and they tire after running short distances.